With over ten years of experience in assuring sustainability reports for many high-profile companies in Southeast Asia, Ere-S is Singapore's leading report assurance consultant. We are renowned for our thorough assessment methodology and our detailed and well-balanced assurance statements providing greater reliability to sustainability reports. Our quality third-party assurance and pre-assurance services will demonstrate to stakeholders that your commitment to sustainability is focussed, truthful and transparent. Our other validation services, such as verification, gap analysis, and due diligence, will confirm and improve the adherence of your sustainability management approaches and reporting processes throughout your value chain. 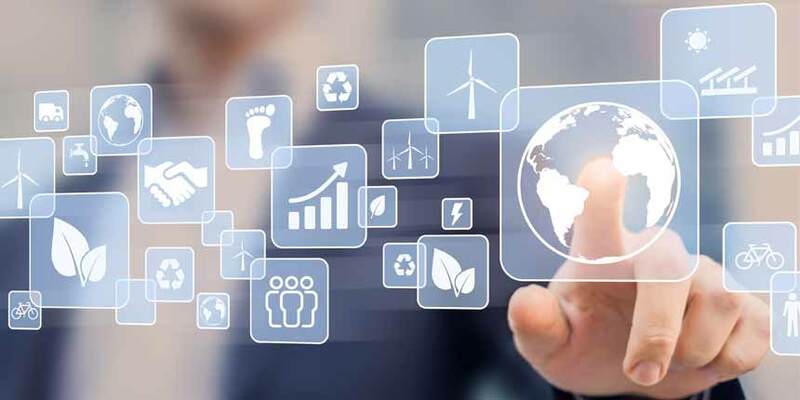 Our expertise enables us to help small and large companies improve their sustainability management processes and measure and report their performance effectively. Our strategy and performance measurement services can be included as part of a reporting engagement or as a standalone project. Ere-S works with you to develop an inclusive, long-term sustainability strategy to create value for your business and stakeholders. We can assist with the development or refinement of your sustainability performance measurement processes and of relevant indicators and targets. Our reporting services encompass all aspects of sustainability report production and ensure that your report content adheres to best practices and guidelines. 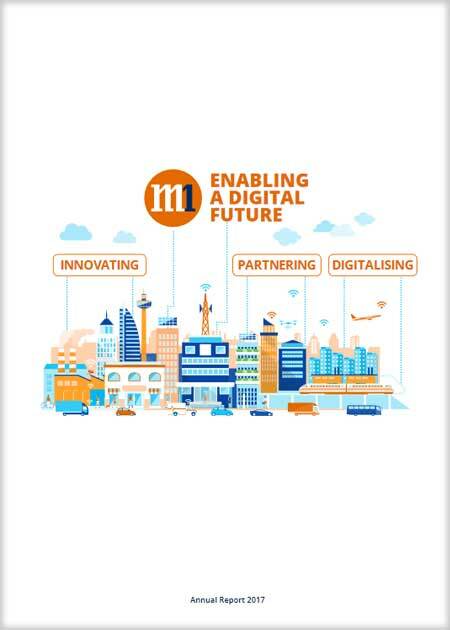 Ere-S was commissioned to assist M1 in improving this Report to provide more detailed management approaches of the organisation, particularly in its materiality and stakeholder engagement practices. In addition, the reporting scope and performance disclosures, particularly for environmental aspects, were more closely aligned to the requirements of GRI Standards and and SGX reporting rules. 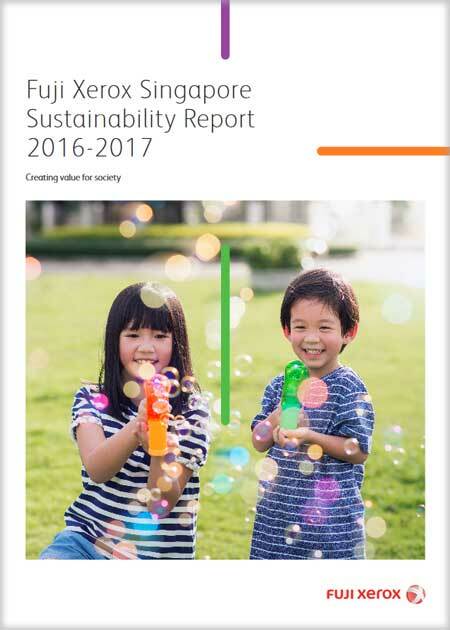 Ere-S was commissioned to write this report, which covered both the sustainability profile of the Singapore operations and the associated policies and performance at Group-level. We assisted the reporting team in improving the reporting scope and disclosure details to adhere more precisely to the requirements of GRI Standards. We also carried out a gap analysis on the alignment with the SDGs and ISO 26000, which was summarised in the report. Based on our extensive experience in sustainability report assurance and performance assessment, Ere-S has designed a two-day intensive course for all personnel involved in the collection, management and reporting of sustainability data. On completion of the course, participants will have a good understanding of the data quality criteria required for sustainability reports and how the data aligns with reporting frameworks such as GRI. 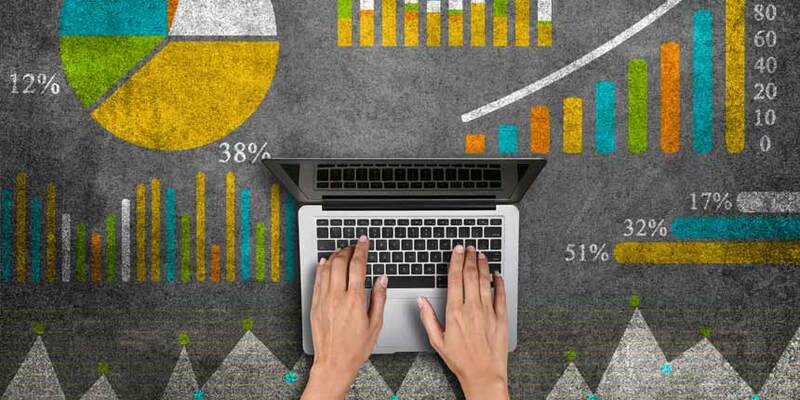 They will be provided with the knowledge and tools to set up an internal structure to accurately measure, collect and manage sustainability data and prepare for internal audit or external assurance. Through our customised training, Ere-S arms your personnel with the expertise and the tools to effectively develop your sustainability roadmap as well as your performance management and reporting structures. 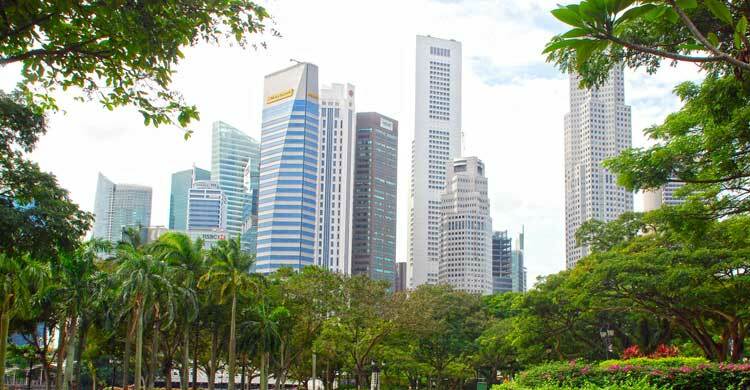 Our clients include large corporations in Southeast Asia and we are Singapore’s leader in the assurance and verification of sustainability reports, with over 40 reports assessed in the country. We are an AA1000 Licensed Assurance Provider and member of the GRI GOLD Community and UN Global Compact Network Singapore. The Global Reporting Initiative (GRI) is the most widely used framework for sustainability reporting. GRI standards provide guidance on how companies can disclose their environmental, social and economic profile and performance. 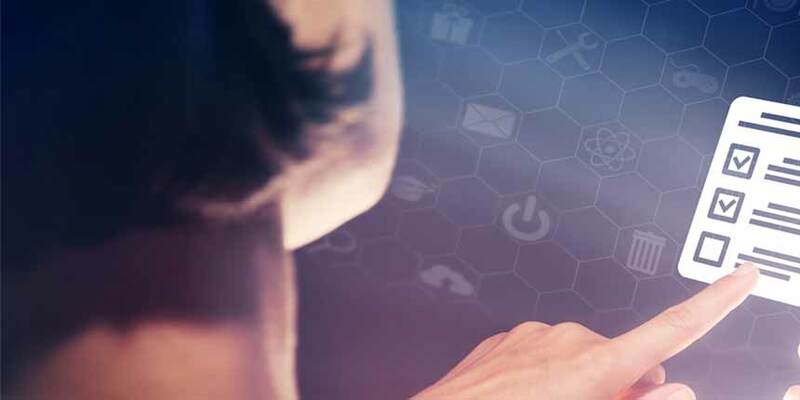 The latest version of the framework, the GRI Standards, is composed of a set of three Universal Standards applicable to all organisations and a series of Topic-specific Standards. The foundation includes the basic requirements for using the standards, including the principles for defining report content and the principles for defining report quality. The general disclosures cover general information about a company’s context, including its strategy, profile and approaches on reporting and engaging with stakeholders. The disclosures on management approach describe the processes used by an organisation to address its sustainability issues. 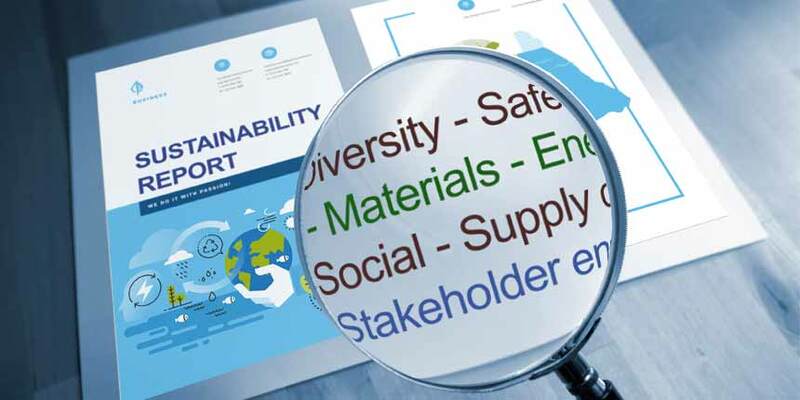 The 200, 300 and 400 series of standards define all performance indicators (disclosures) for particular material issues and give guidance on their interpretation and compilation into the sustainability report. For example, ‘GRI 303: Water and Effluents (2018)’ sets out the reporting requirements of the following disclosures related to water: GRI 303-1 (Interactions with water as a shared resource), GRI 303-2 (Management of water discharge-related impacts) and GRI 303-3 (Water withdrawal), GRI 303-4 (Water discharge) and GRI 303-5 (Water consumption). GRI Standards define two levels of compliance: ‘Core’ and ‘Comprehensive’, with the second option imposing a much higher number of disclosures (general and topic-specific). See www.globalreporting.org for more details. We apply the guidance contained in the GRI framework in combination with other standards, such as AA1000AS, SGX Reporting Rules, ungp-reporting, UNGP or ISO 26000, as part of our reporting and performance measurement engagements. The GRI principles for defining report content and quality, and the reporting requirements for topic-specific indicators are usual components of our assurance and other validation criteria. The AA1000 AccountAbility Assurance Standard (2008) is intended primarily for assurance providers. Based on adherence to AA1000AP (principles of inclusivity, materiality, responsiveness), it assists them in the evaluation of the management systems, procedures and policies that support a company’s stakeholder engagement framework. High assurance: Assessment of processes and data is performed to reduce the risk of error in the final conclusions of the assurance to a very low level. High assurance requires extensive depth of evidence gathering at all levels of the organisation, including external stakeholders. Moderate assurance: Assessment of processes and data is performed to reduce the risk of error in the final conclusions of the assurance at a limited level. Evidence gathering restricted to corporate level, with limited sampling of data, is sufficient for moderate assurance. These two levels of assessment are similar to the ISAE 3000 levels (limited assurance and reasonable assurance). AA1000AS also provides specific guidelines on the content and format for the assurance certificate (statement) to be included in the assessed sustainability report. When used in conjunction with the GRI Standards and ISAE 3000, AA1000AS is an effective tool for a comprehensive evaluation of a company’s sustainability reporting framework and for the additional reliability it provides to the sustainability report. A new version of AA1000AS is expected to be published in 2019. See www.accountability.org for more details. We primarily use AA1000AS for our assurance and eventually other validation services. The rest of the AA1000 series of standards, namely AA1000AP and AA1000SES, are used in our advice and methodologies relating to stakeholder engagement in particular and to performance measurement. The first AA1000AS evaluations in Singapore were carried out by Ere-S in 2010 to assure the sustainability reports of City Developments Limited and PowerSeraya Limited. Since then, more local companies have adopted the AA1000 AccountAbility Assurance standard for their reports. AA1000AP is also linked to other standards from AccountAbility, such as the AA1000 Stakeholder Engagement Standard (AA1000SES) which is based on the above four principles. Similarly, the evaluation criteria of the AA1000 Assurance Standard (AA1000AS) also include the principles of AA1000AP. We primarily use the AA1000AP’s Inclusivity, Materiality and Responsiveness principles and Impact as assessment criteria in our assurance engagements under AA1000AS or for our validation services. We also rely on the associated AA1000SES for our stakeholder engagement services. AA1000SES (2015) is based on the principles of AA1000AP and includes the definition of the main stakeholder groups as well as the objectives and scope of engagement. The purpose of AA1000SES is to initiate dialogue between an organisation and its stakeholders, jointly identify key issues, and develop appropriate mitigating actions. We draw our stakeholder engagement services on the methodology and criteria of AA1000SES. We also offer validation (gap analysis) services on a company’s current stakeholder engagement framework based on AA1000SES’s requirements. We rely on the associated AA1000AP and AA1000AS standards for our reporting and assurance services. The CDP is an international initiative that collects information on greenhouse gas (GHG) from corporations as well as cities. Organisations contributing to CDP programme are invited to respond annually to a questionnaire on their greenhouse gas emissions. The questionnaire covers the company's profile, its managerial practices, the risks and opportunities in its sector, and its performance on the control of its GHG emissions. Requirements on the disclosure of emissions data are based on the GHG Protocol standards. 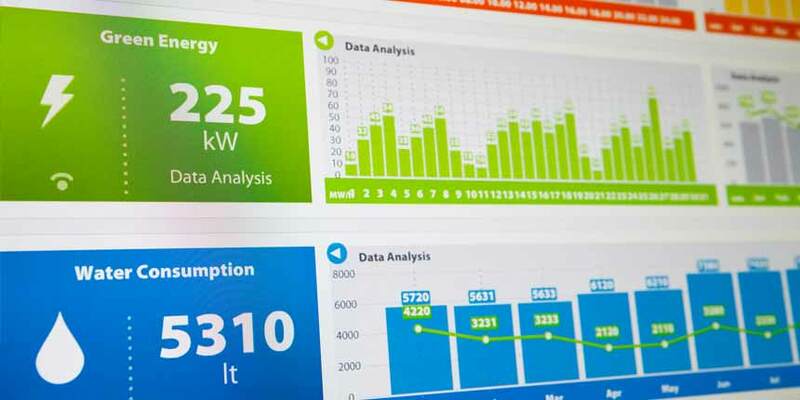 The data collected is reviewed and used to produce CDP reports that are offered to investors, organisations, governments, and other entities participating in the initiative. See www.cdp.net for more details. When requested by the customer, we carry out our services and recommendations on performance measurement and reporting based on the criteria of the CDP to ensure that the calculation methods and the client's GHG emission information are aligned with the requirements of the CDP questionnaire and the GHG Protocol. The Greenhouse Gas Protocol (GHG Protocol) consists of a series of standards for businesses’ and governments’ accounting and reporting of greenhouse gas emissions. The GHG Protocol for businesses includes a main standard (Corporate Accounting and Reporting Standard) and three other standards covering the accounting of climate change mitigation (Project Protocol), the value chain (Corporate Value Chain - Scope 3 - Standard) and the emissions of a product's full life cycle (Product Life Cycle Accounting and Reporting Standard). The elements of the main standard include the GHG Accounting and Reporting Principles (relevance, completeness, consistency, transparency and accuracy), setting organisational and operational boundaries, identifying, calculating, reporting and verifying GHG emissions. See www.ghgprotocol.org for more details. We rely on the GHG Protocol for our reporting and performance measurement services. In our assurance and validation procedures, we also use the principles and definitions found in the GHG Protocol to validate the calculation and reporting procedures used by our clients. The standard is particularly crucial when assessing a sustainability reporting framework under the ISAE 3410 guidelines. The International Standard on Assurance Engagements (ISAE) 3000 covers assurance engagements other than audits or reviews of historical financial information. The standard is used to guide assurance practitioners in setting an effective methodology to assess a company’s internal processes and performance information. ISAE 3000 includes requirements for all stages of an assurance engagement, such as planning, assessment of material and risk factors, liability of the practicing professional, and format and content of the report to be delivered at the end of the engagement. It also requires that the assurance engagement contains quality control procedures and be carried out by the practicing professional in accordance with the independence and other ethical requirements of the Code of Ethics for Professional Accountants, issued by the International Ethics Standards Board for Accountants (the IESBA Code). ISAE 3000 defines two levels of assurance, limited or reasonable. The reasonable level is the most stringent and requires obtaining sufficient evidence to reduce assurance engagement risks to an acceptably low level. These levels of assurance are similar to the AA1000AS levels (moderate assurance and high assurance). See www.ifac.org for more details. Although ISEA 3000 is not a regulatory requirement and does not require the assurance provider to be registered or certified, we have fully incorporated ISAE 3000 guidelines (and ISAE 3410 for disclosures on GHG management and performance) in our assurance methodology to ensure our engagements are carried out under high standards for audit quality and ethics. ISAE 3410 covers assurance engagements on greenhouse gas (GHG) statements. While it is built on ISAE 3000, it focuses on the assessment methodologies for performance measurement and reporting processes that are specific to GHG emissions. 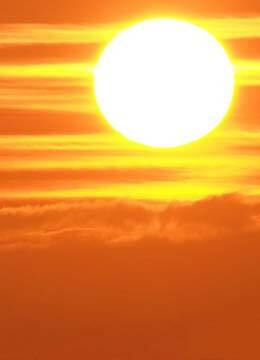 We base our assessment of data collection and calculation processes on the guidance and criteria from ISAE 3410 for assurance of reports that contain comprehensive disclosures on GHG management and performance or when assisting our clients in implementing processes for measurement of carbon emissions. Issued by the International Organisation for Standardisation, ISO 26000 is a framework of principles and integration methods for social responsibility that have been developed to encourage organisations to make voluntary commitment and contribution to sustainable development. ISO 26000 provides guidelines on concepts, definitions and methods of evaluation that organisations can refer to, regardless of their nature, size and varying levels of development of the society in which they operate. The standard is developed around clauses that set out business approach to sustainability. The major clauses are the Principles of Social Responsibility, the Fundamental Practices of Social Responsibility, the Social Responsibility Core Subjects and the Integration of Social Responsibility through an Organisation. The most significant part of ISO 26000 is represented by its core subjects mentioned below. For each of them, the standard defines a set of issues in social responsibility and sustainability (for example, human rights risk situations; conditions of work and social protection; climate change mitigation and adaptation; wealth and income creation) and the related actions and expectations (for example, developing a human rights policy; preventing the release of GHG emissions, etc.). Note that ISO 26000 is not a management system standard and, as it does not contain requirements, is not intended or appropriate for certification or assurance purposes. The AA1000 Assurance Standard, ISAE 3000 and GRI Standards can be chosen instead for assuring your sustainability report or verifying your performance measurement processes. ISO 26000 does not conflict with other corporate sustainability instruments such as the GRI Standards and AA1000 standards; rather, they complement each other. Ere-S recommends their combination as the key to a solid sustainability framework. See www.iso.org/iso-26000-social-responsibility.html for more details. Through our strategy, reporting and validation services, we assist organisations in assessing the application level of ISO 26000 and maximising its usefulness and impact in the context of the client’s industry, priorities and management strategies. The UN Global Compact (UNGC) is a voluntary UN initiative aimed at encouraging organisations to adopt sustainable practices. The UNGC is based on a series of ten principles relating to human rights, labour law, the environment and the fight against corruption. Organisations that are signatories to the UNGC commit themselves to implementing the principles of the Pact and to report annually on the progress made in their integration. This "Communication on Progress", or COP, requires the signatories to publish a declaration of accession to the Pact, a description of the measures taken and the results obtained. Signatories are classified according to three levels of COP disclosure: Level GC Learner, Level GC Active and Level GC Advanced. See www.unglobalcompact.org for more details. In its mission to develop corporate sustainability and reporting strategies, Ere-S ensures that client sustainability practices, especially UNGC signatories, are aligned with the principles of the Pact. At the request of the client, we can also take care of document submission to the COP. Sorry – this page is under construction. See http://integratedreporting.org for more details. See http://sustainabledevelopment.un.org for more details. See www.sustainabilityreporting.sg/sgx-rules-guidelines for more details. See www.ungpreporting.org for more details. See www.shiftproject.org/resources/collaborations/human-rights-reporting-assurance-frameworks-initiative for more details. See http://mneguidelines.oecd.org for more details. Graphics: Some pictures and illustrations on this website are from pixabay.com under the Creative Commons CC0.